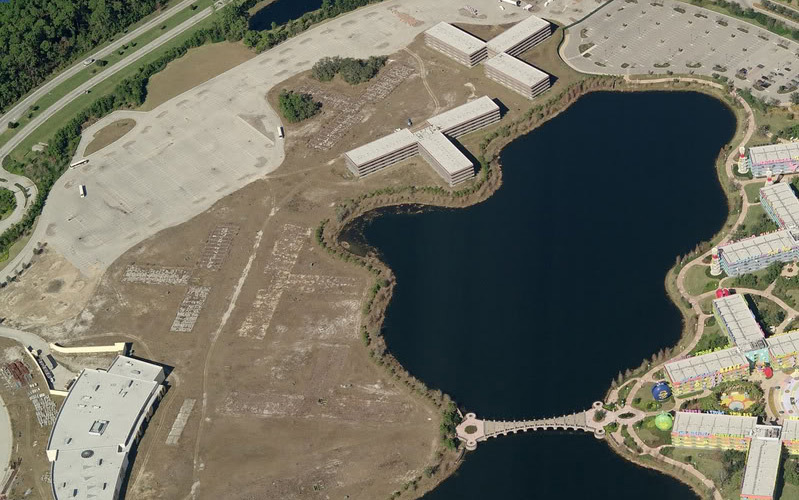 After the successful opening of Disney’s Pop Century is 2003, Walt Disney World planned a second “half” of Pop Century, which would be themed after the Legendary Years of 1900 – 1940, to be located on the other side of Hourglass Lake. 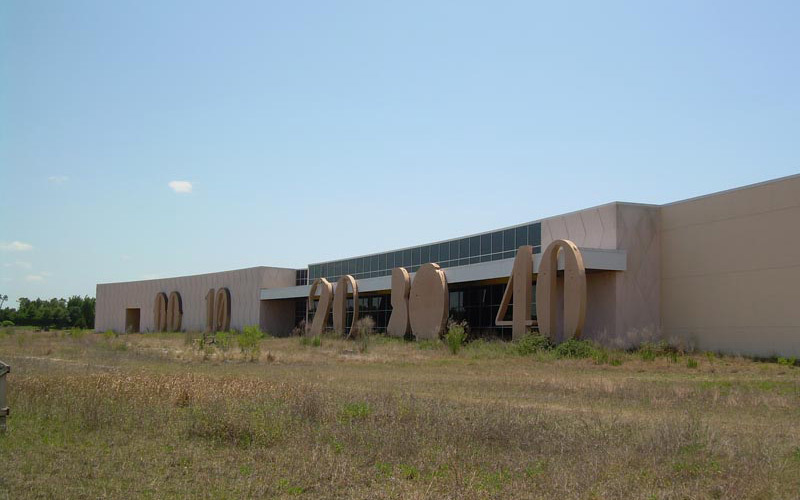 Construction started on the main building and several of the outer buildings that housed the rooms, but then was stopped due to a downturn in the economy. The buildings and foundations sat for years, like a ghost town. Finally, in May, 2010, Walt Disney World announced a new resort was to be built on the site, but not an extension of Pop Century. 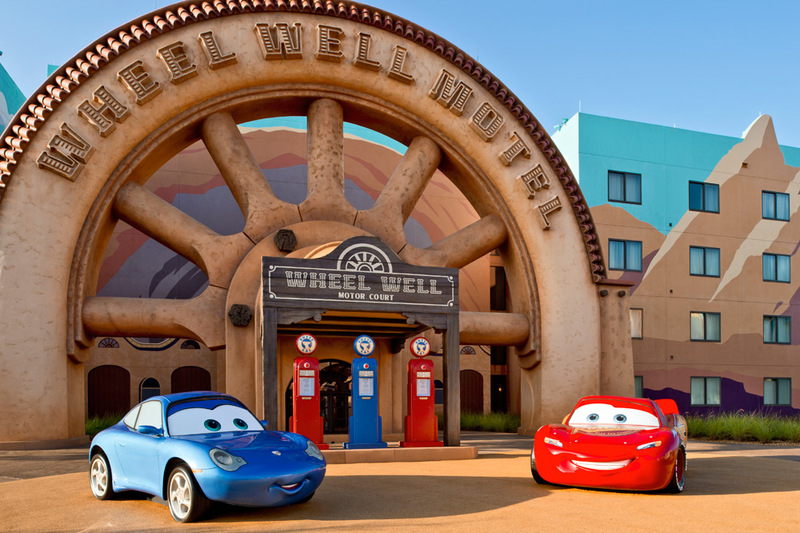 It was going to be a brand new resort called Disney’s Art of Animation Resort, themed after Disney and Pixar movies, which makes a whole lot more sense. How many kids want to stay in a room themed after the 1920’s? Not mine. One big change to the plans was that Disney would make this new resort mostly family suites. 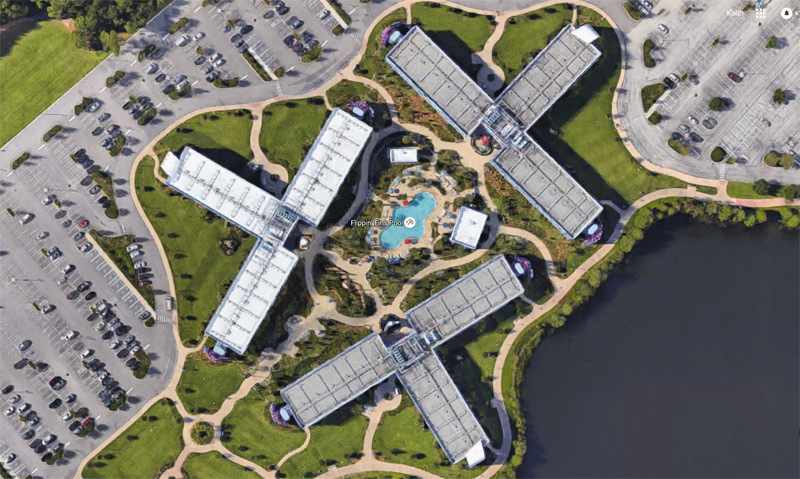 There were two existing buildings, as you can see in the photo above, that had sat in place for years, which Disney completed, along with a third building as standard rooms, very similar to the rooms at Pop Century, all themed after The Little Mermaid. The rest of the resort was built on the existing foundations, and made into all family suites, themed after The Lion King, Finding Nemo and Cars. 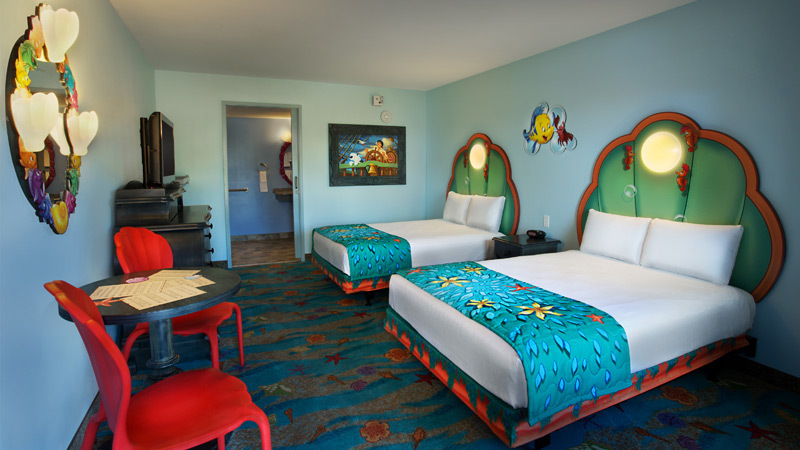 There are 864 Little Mermaid rooms at Art of Animation, each with two double beds (there are some handicap accessible king bed rooms), and each room sleeps up to 4 people. In addition to the rooms, there is also a Little Mermaid themed pool, the Flippin’ Fins Pool. The Little Mermaid Rooms are just standard Disney Value Resort rooms, but with a Little Mermaid Theming. 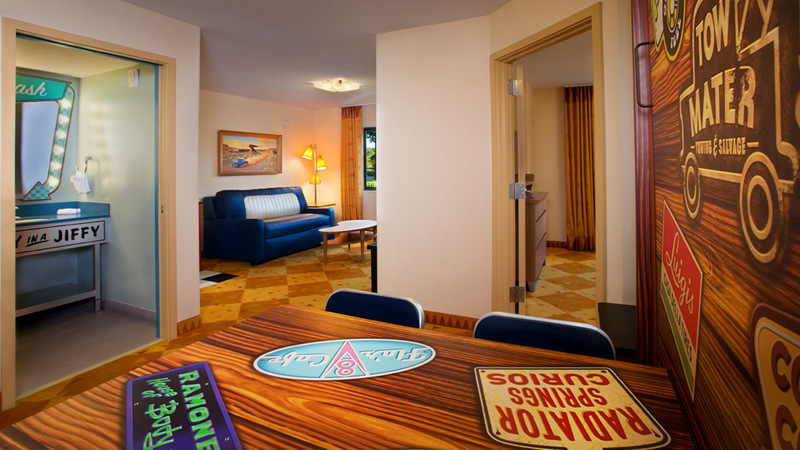 Without a doubt, these rooms are the most popular in all of Disney, they are ALWAYS sold out. 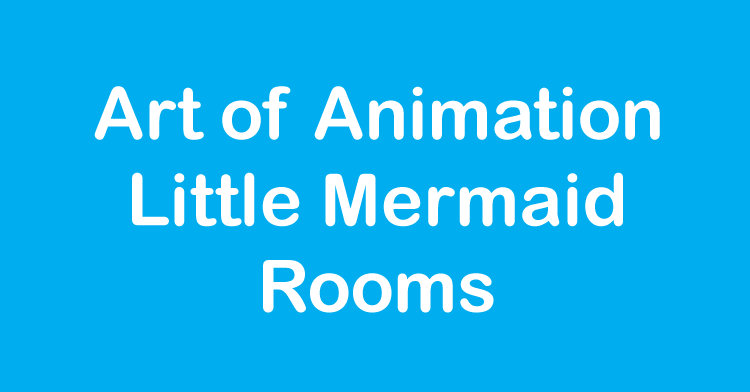 If you have kids the love Arial, or you want to blame the attraction on your kids, the Little Mermaid Rooms at Art of Animation are the only Ariel themed rooms on property. Art of Animation is Disney’s newest resort, and the rooms are the most “up to date”. 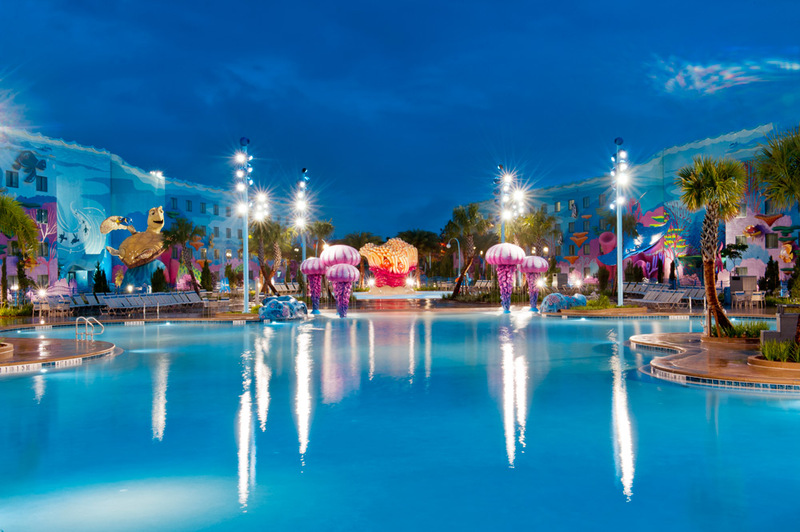 The pool choices at the resort are better than any other value resort, from the Little Mermaid Pool to the main Finding Nemo themed Big Blue Pool are fantastic. You may have family members staying in a family suite at Art of Animation, but you don’t need one, and want to stay somewhere close. These rooms are less than half the cost of the family suites. Discounts! Ever since the Little Mermaid rooms opened in late 2012, Walt Disney World has excluded the rooms from every single discount released. So, if you want to stay there, you pay full rate. Especially when we see discounts like free dining, that is a huge premium just to stay with Ariel. The room location isn’t the best. The Little Mermaid rooms are the furthest away from the lobby and bus stop at Art of Animation, as you have to exit the Little Mermaid area, walk through the Lion King area and into the Finding Nemo area where the main lobby is. While on paper it isn’t too far, when you get off the bus in the evening with tired kids and even more tired feet, that 5 minute walk to your room will feel like a marathon. All of the standard rooms at Art of Animation are in the Little Mermaid section, but none of the family suites are located there. So, if you have a group that needs a mixture of family suites and standard rooms, you will be spread out throughout the resort, there isn’t any way to get those two room types near each other. 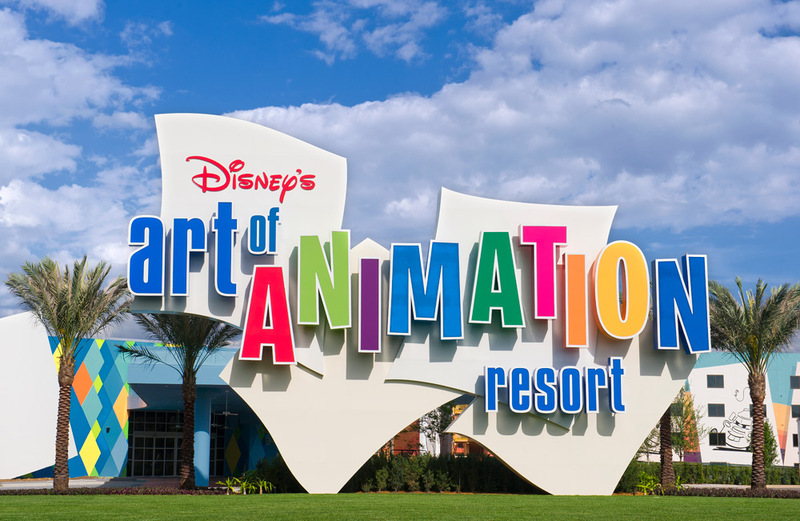 Art of Animation is a fantastic resort, by far my favorite Value resort at Walt Disney World. However, unless you must stay in a Little Mermaid room at all costs, then consider looking at some of the other value resorts, you will get more for your money.